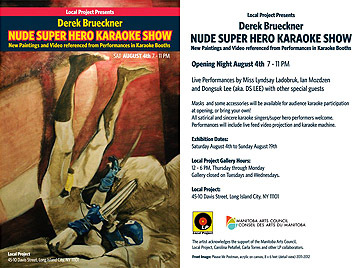 Brueckner is pursuing an artist residency in Brooklyn during July, 2013 at Residency Unlimited. His solo exhibition the Geometers opens August 10, 2013 at 3rd Eye(sol)ation in Brooklyn. The Geometers is about the negotiations of mathematical geometry with the performative body that will involve installation, performance, and video with paintings and drawings. 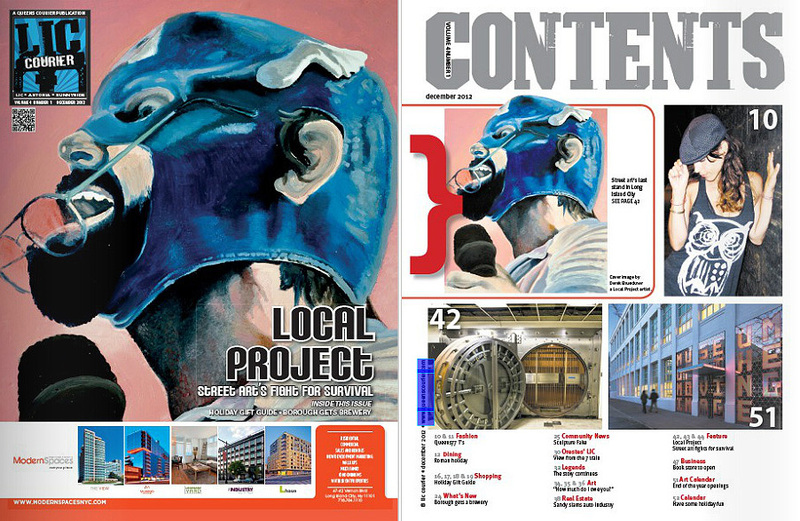 Brueckner's painting is published on the cover of Queens Courier Magazine, Queens, NY (December edition). This work was from the show he had in NY at Local Project during the summer, 2012. 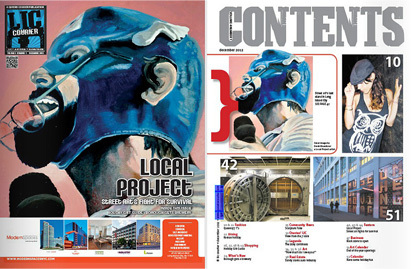 Connections between old and new media in artwork create important and engaging visual conversations about the changing face of contemporary art. 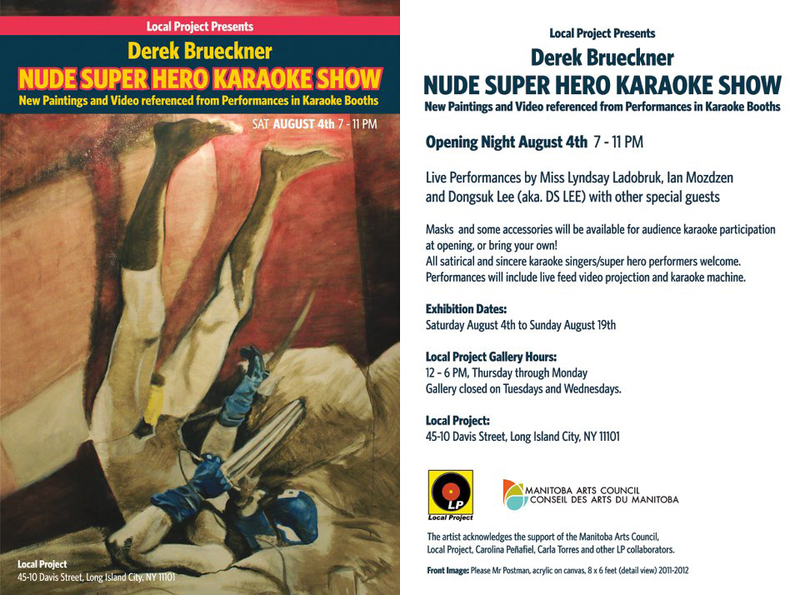 Local artist Derek Bruekner examines these changes, and also looks at how technology is affecting the human body, through his works in Watching Velocity Dry -- a series of digitally altered painting and prints. Currently working with technology in relation to drawing/painting and the figure/body. The work involves dialectics (exchange of conflicting ideas) encompassing the processes of haptic (hand made), ocular and digital image making. The result of this dialectic attempts to bridge and or blur the pictorial spaces of physical paint processes with the dematerialization of Photoshop. Ultimately the work explores a reaffirmation of painting/drawing in relation to the ambivalence of technology. The subject matter that culminates within the work references corporeal entities, mutations, cell division, systems, patterns, or spectacle. Overall the work’s imagery and processes becomes a metaphor for the cultural impact of technology in and on the body and the way the body feels and perceives. In the end it is my hope that the fusion of a painter’s sensibility with Photoshop will slow down or offer a subtle resistance to the sonic production and consumption of digital imagery.